Suiso is the Japanese translation of Hydrogen water. Hydrogen is an important element in the composition of water and other organic matters. Hydrogen is also the smallest and lightest element that are able to penetrate deep into human cells, reaching the nucleus and mitochondria to fight free radicals. This makes Hydrogen uniquely effective as an anti-aging agent. Every year, tourists are attracted to the legendary “miracle water” springs at Lourdes (France), Dusseldorf (Germany), Hunza (Pakistan) and Tlacote (Mexico) for the purpose of rejuvenating themselves. These water springs are known to have high hydrogen levels. You can now get Hydrogen water with just a click away without travelling and hassle free. 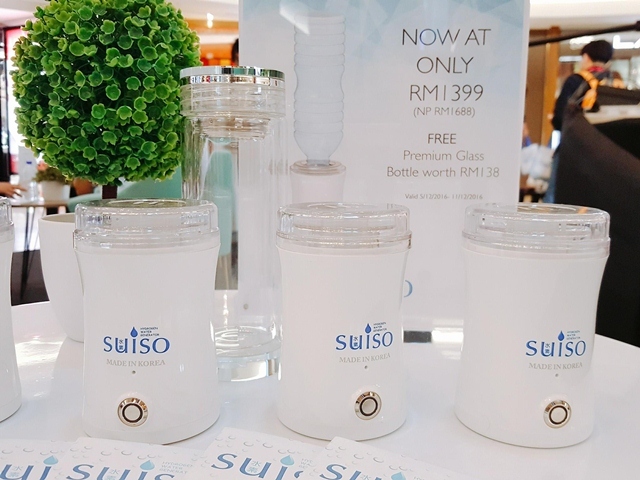 SUISO is a hydrogen making device from Korea and has 6 layers of Titanium-Platinum membrane that separates water (H2O) into Hydrogen (H2) and Oxygen (O2), allowing Hydrogen to quickly infused into water. 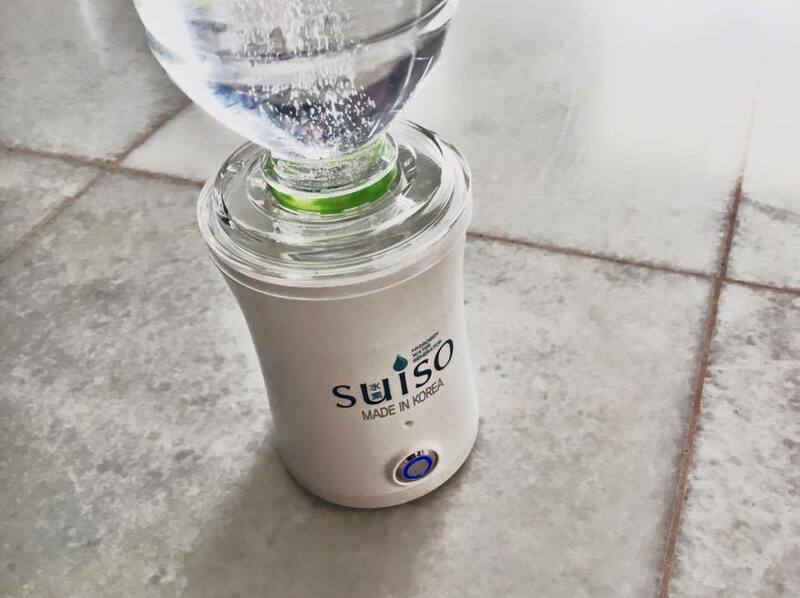 You will only need 5 minutes to product high level of Hydrogen concentration of 800 to 1150 PPB with your Suiso water. 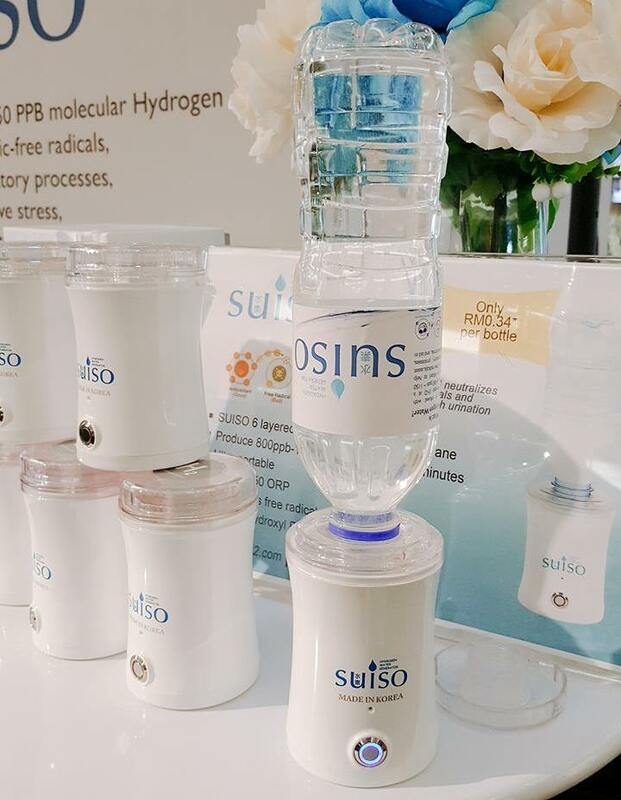 Suiso Hydrogen water can easily penetrate through to the mitochondria in the human cells to fight against the toxic free radicals in your body. Free radicals have been linked to aging, tissue damage, cardiovascular disease, rheumatoid arthritis and several types of cancer. Hydrogen targets and neutralizes dangerous free radicals, which will then be discharged through urination. SUISO Hydrogen Water also contain a negative -400 to 500 units of reduction potential (ORP) to neutralize hydroxyl radical (HO), which in turn helps to fight against inflammation and oxidative stress. Everyone can now “Drink The Right Type of Water” every day and anytime of the day with Suiso Hydrogen water. Suiso first model – SUISO on the go emphasizes on portability and convenience. You can now bring your suiso device to anywhere on your own convenience, whether at home, in office or even at the gym. Simply attach any drinking mineral water to your suiso device and press the Start button, you will get your Hydrogen Rich water ready in 5 minutes. Suiso on the go also comes with a 1-year limited warranty on manufacturing defects. We recommend drinking Suiso Hydrogen water 6 times a day x 500ml. SUISO on the go has no side effects and is certified by FDA (United States), ISO ITC- RoHs, JFRL (Japan) and Korea Testing Laboratory (South Korea). Clini7 (M) Sdn. Bhd. is the exclusive distributor of SUISO on the go in Malaysia and Singapore.